Decorated Hanging Gone with the Wind Fixture -- Lovely Victorian hanging light fixture with a scene and a little girl. 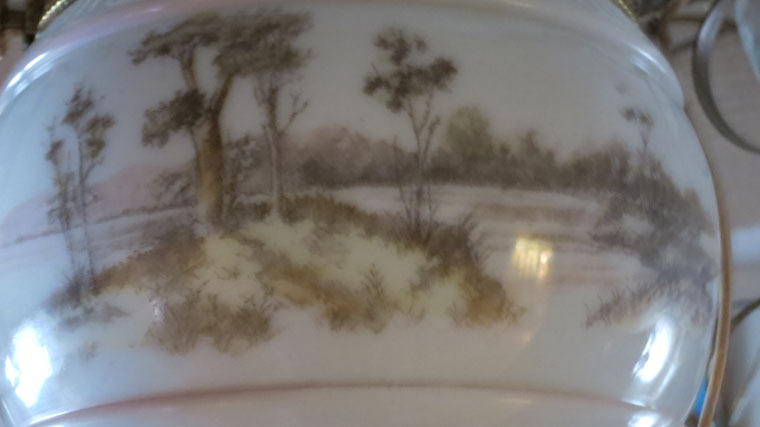 It measures 39" tall x 17" wide, and the shade has a diameter of 13 1/2". It has the original pulley system and is in wonderful condition. Scroll down for more images and order/inquiry form. If you are interested in ordering something or perhaps you have a question regarding a particular item in our catalog. Use the enclosed form. E-Mail Address is required, but the other information is valuable in case E-Mail doesn't work, for getting shipping estimates, and/or sending you a completed standard agreement. You are Ordering/Inquiring regarding this item. All items are subject to availability. Please wait for confirmation that this item is still available before sending payment. 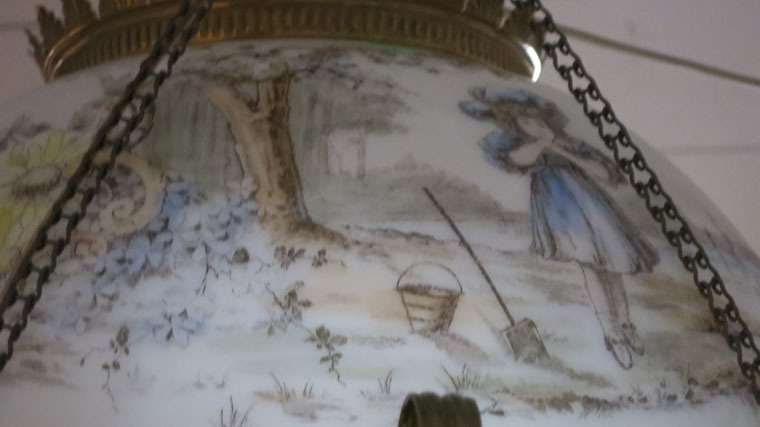 Lovely Victorian hanging light fixture with a scene and a little girl. 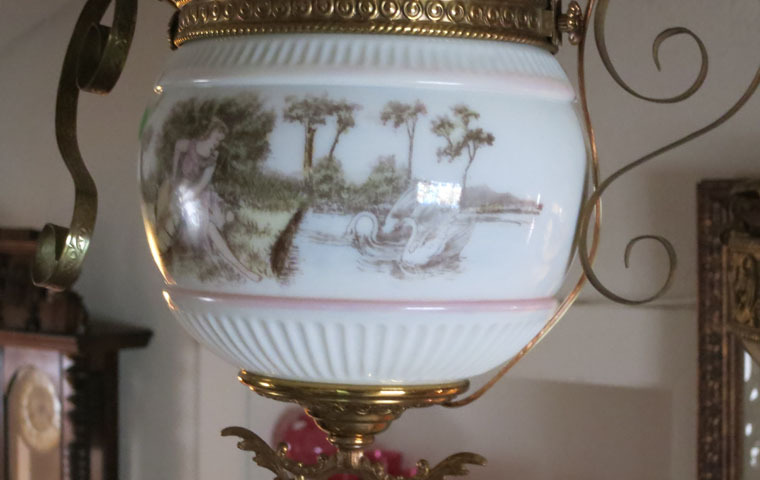 It measures 39" tall x 17" wide, and the shade has a diameter of 13 1/2". 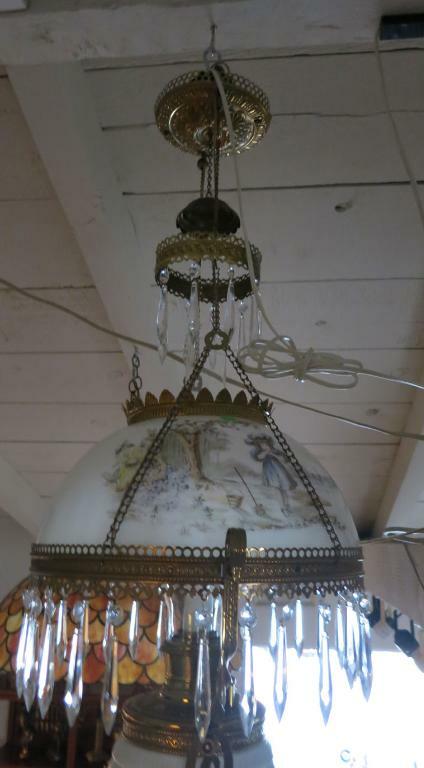 It has the original pulley system and is in wonderful condition. 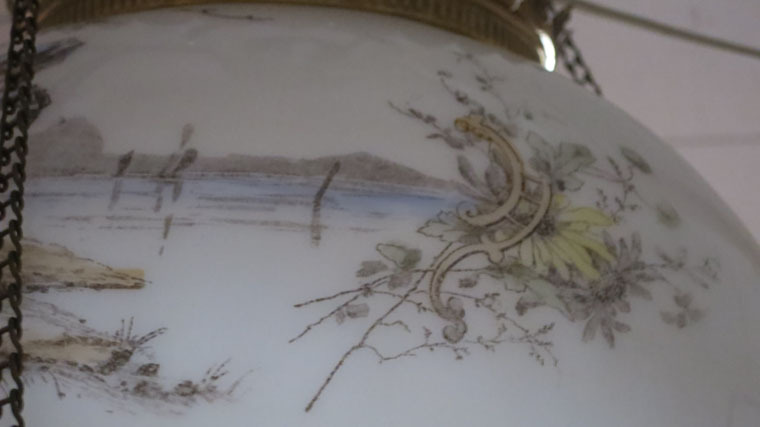 Advertised item - Inquire to Beyond Expression Antique to contact seller or for more information. Please read the graphic string of 6 characters and numerals in the box directly above these instructions and enter them in the text box below. Match the order left to right without concern for location top to bottom. If you can't match the puzzle, please call or email the dealer directly with the item number of the piece in which you have interest.